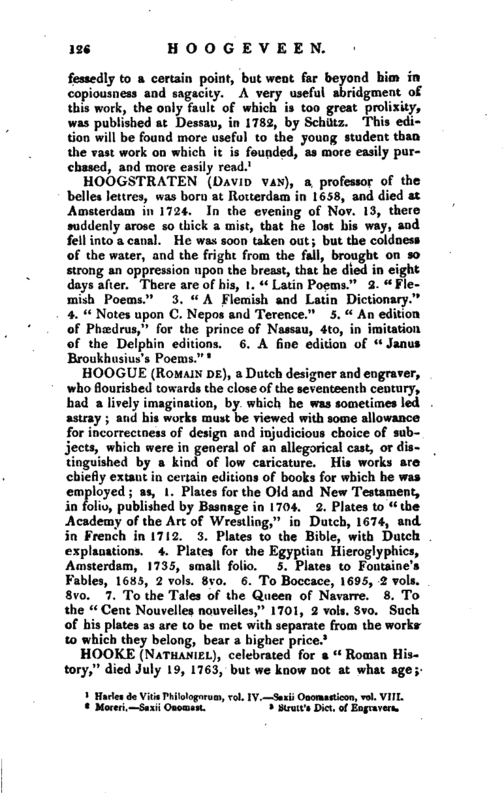 , a very celebrated Dutch philologer, was born at Leyden, in the latter end of January 1712. 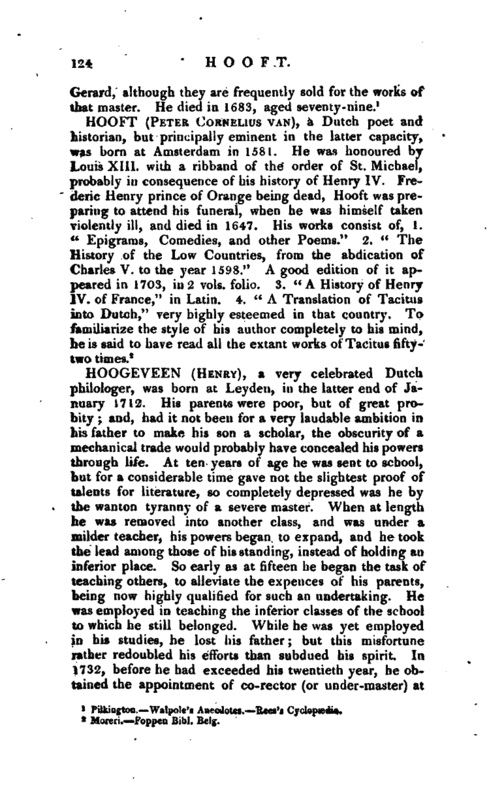 His parents were poor, but of great probity; and, had it not been for a very laudable ambition in his father to make his son a scholar, the obscurity of a mechanical trade would probably have concealed his powers through life. At ten years of age he was sent to school, but for a considerable time gave not the slightest proof of talents for literature, so completely depressed was he by the wanton tyranny of a severe master. When at length he was removed into another class, and was under a milder teacher, his powers began to expand, and he took the lead among those of his standing, instead of holding an inferior place. So early as at fifteen he began the task of teaching others, to alleviate the expences of his parents, being now highly qualified for such an undertaking. He was employed in teaching the inferior classes of the school to which he still belonged. While he was yet employed in his studies, he lost his father; but this misfortune rather redoubled his efforts than subdued his spirit. In 1732, before he had exceeded his twentieth year, he obtained the appointment of co-rector (or under-master) at | Gorcum. Within nine months the magistrates of the city of Woerden gave him an appointment there, which induced him to think of matrimony. He married in March 1733, and began the care of this school in May, the same year. By this wife, who died in 1738, he had three sons and two daughters. In the same year he was solicited by the magistrates of Culembourg to undertake the care of their school, to which, with much reluctance in leaving his former situation, he at length consented. Here he took a second wife, who produced him eight children; and here, notwithstanding solicitations from other places, he continued for several years. At length, much fatigued by incessant attention to a great number of scholars, he went in 1745 to Breda, on a more liberal appointment. 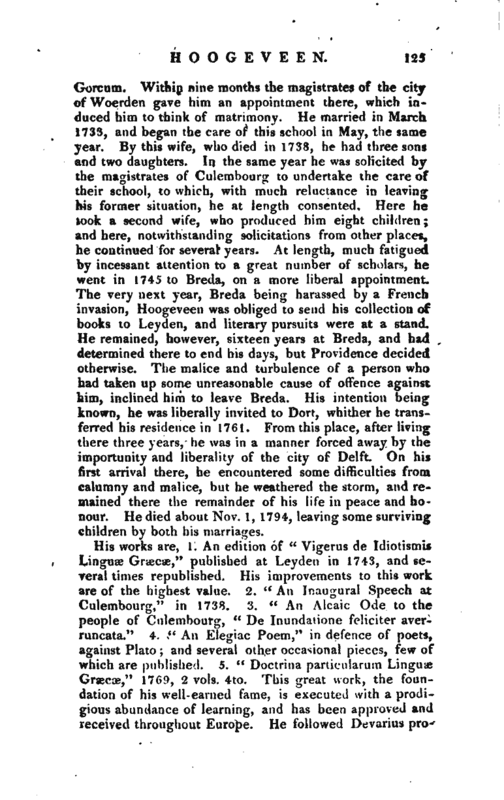 The very next year, Breda being harassed by a French invasion, Hoogeveen was obliged to send his collection of books to Leyden, and literary pursuits were at a stand. He remained, however, sixteen years at Breda, and had determined there to end his days, but Providence decided otherwise. The malice and turbulence of a person who had taken up some unreasonable cause of offence against him, inclined him to leave Breda. His intention being known, he was liberally invited to Dort, whither he transferred his residence in 1761. From this place, after living there three years, he was in a manner forced away by the importunity and liberality of the city of Delft. On his first arrival there, he encountered some difficulties from calumny and malice, but he weathered the storm, and remained there the remainder of his life in peace and honour. He died about Nov. 1, 1794, leaving some surviving children by both his marriages. Harles de Vitis Philologorum, vol. IV. —Saxii Onomasticon, vol. VIII.